Rework the world to your own needs in this endearing indie puzzle-platformer. Semblance is a squishy puzzle-platformer which reshapes the genre in a charmingly unique manner. As a little jelly-like blob you’re capable of dashing into the scenery, warping it about yourself to access seemingly unattainable collectibles. Bend a platform upwards and you can use it to gain extra height. Repeatedly dent two vertical walls and you can build a series of platforms to climb on. It’s a simple system, and while puzzles clearly have intended solutions, the freeform nature in which you construct a path to your goal gives a sense of personal triumph each time. 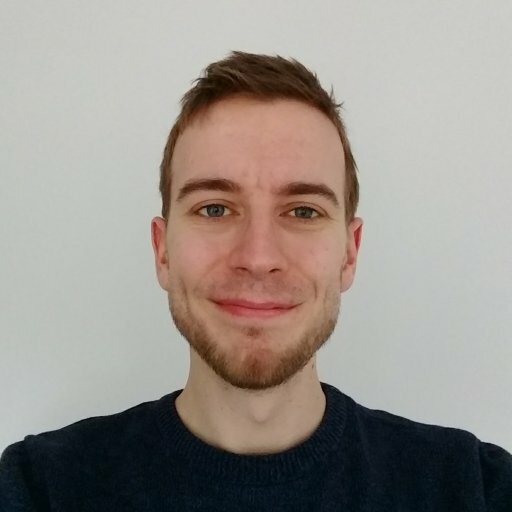 Better yet, those with platforming prowess will often find they can make shorter work of challenges than intended, opening up possibilities for keen speedrunners. This isn’t Minecraft levels of creative freedom, mind. Only specific sections of each level are malleable, and even then you’re only able to bend each block in one direction at a time, resettable through a simple button tap while close. Even with these limitations the degree to which you can adjust each level is impressive, and clambering over your own designs can often prove tricky in of itself. Mess up a jump to land on a deadly spike and you’ll be swiftly placed back at the start of the screen, able to try again in a matter of seconds. Death never holds a penalty of more than a few moments of repetition, and any adjustments made to the level will remain. That latter point is a lovely decision, and eases any frustrations that arise from messing up the mechanical platforming once you’ve already found the solution. Worlds, represented by trees, consist of five or so smaller levels containing a series of collectible blobs which hang tantalizingly out of reach. Collect them all and you’ll revive the tree, releasing it from a corruption which plagues the forest. 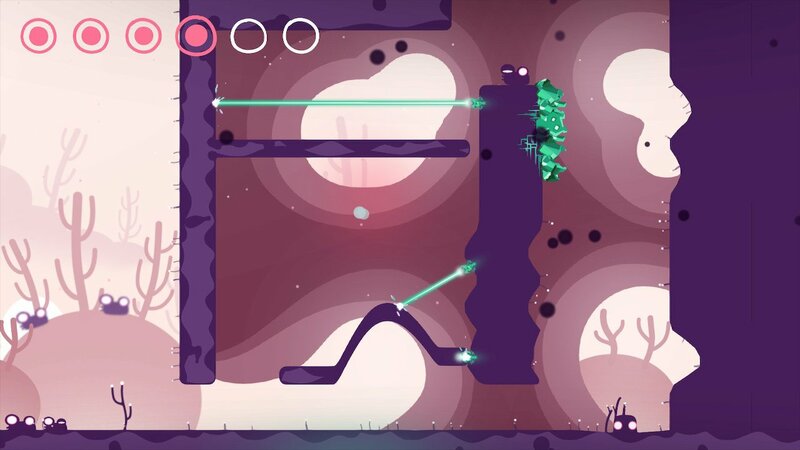 Semblance is by no means a long game, taking just a few hours to beat, but each of its three worlds introduces a new mechanic or two into the mix. Lasers must be blocked off to progress, while special crystal surfaces allow you to reshape your body, flattening to squeeze through tight gaps and improve your vertical and horizontal boosts. Each addition is simple, carefully considered and most importantly, fun. Semblance breaks you in slowly and, beyond the opening few minutes, teaches you new tricks and techniques through the puzzles themself rather than on-screen prompts. It’s a satisfyingly natural approach, but did leave us wishing for a little more of a challenge in the second half of the game. Much of your time is spent learning how to make use of new skills, so it’s left only to the last couple of puzzles in each world to really test you. The mental strain is certainly upped towards the final stages in which all the skills you’ve learned are jumbled together, often under a time limit. However, even with a few hidden totems to hunt down in each world, experienced puzzle and platforming fans may be left feeling a little disappointed with how quickly they blitz through Semblance. We’re certain that South African developer Nyamakop had a few more fiendish challenges hidden up their sleeves and we’d love to see them make it to the game at a later date. 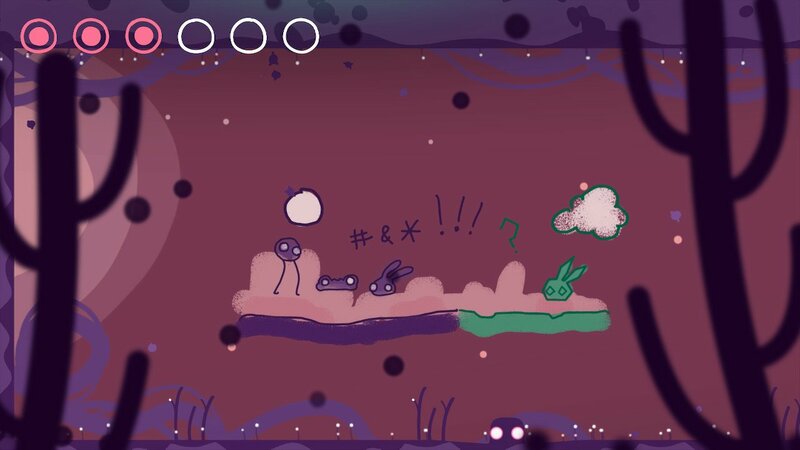 It’s worth noting that our Switch review copy of Semblance had its fair share of bugs, though none were truly game breaking. The most common saw our little blob get stuck inside the scenery after a dash. A brief bit of shimmying was usually enough to get free, though at points it was possible to travel through parts of the map using this, either skipping ahead on a puzzle, or in one case falling out of the map. Fortunately the pause menu includes the ability to reset your position to the start of the screen, meaning none of these proved a serious hindrance beyond the chance to spoil our own fun a bit. Overall Semblance is a short but sweet indie title that makes for a lovely addition to the Switch’s already burgeoning catalogue. 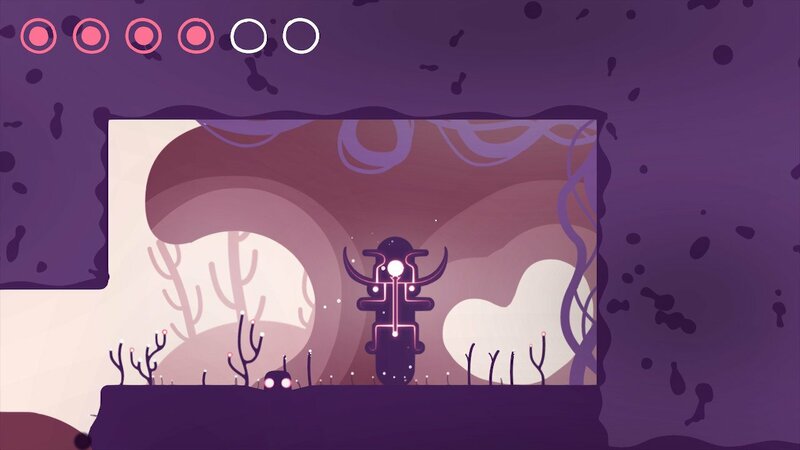 With the likes of Hollow Knight and Celeste there are plenty of stellar platforming games available on Nintendo’s hybrid, but Semblance carves itself a worthy niche through distinctively quirky mechanics and a delightfully relaxed pace. Semblance releases today on Nintendo Switch and PC/Mac.